NEW HAVEN, Mo. - New Haven’s Varsity and JV volleyball teams are off to a perfect 4-0 start following Thursday night’s win over Montgomery County. Senior Taylor Covington and Junior Emma Borcherding smashed a team high five kills, while Junior Lauren Bergner added four kills and served up three aces. 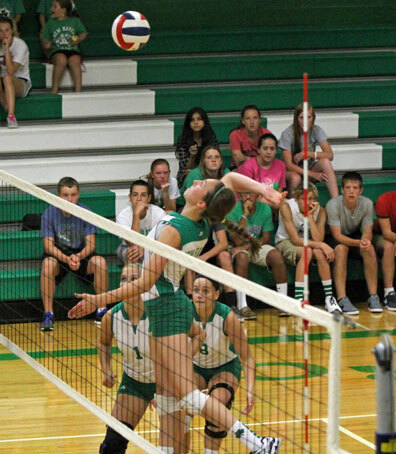 Pictured right: Senior Taylor Covington smashes one of her five kills on Thursday. New Haven began their season on the road, defeating Cuba in two sets (25-15, 25-22) then knocked off Belle (25-10, 25-7) and Chamois (25-7, 25-9) before picking up their fourth straight win on Thursday. In the New Haven’s first four games Covington and Bergner led the team in kills, combining for 33 of New Haven’s total 66 kills. Coach Hoener added, "The fans have been very supportive- very vocal, especially in some hot conditions. We notice it and we appreciate it." 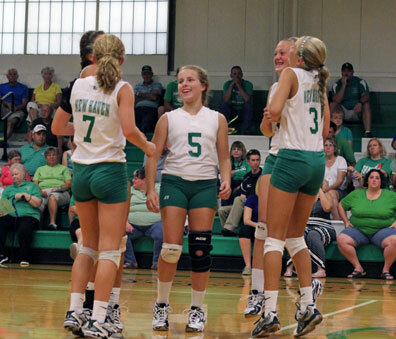 New Haven will end their four game home stand on Monday when they host Father Tolton Catholic. New Haven will begin a long road trip, traveling to Centralia on Thursday (Sept. 11) before heading to the two day SEMO Volleyball Classic in Cape Girardeau on Friday. 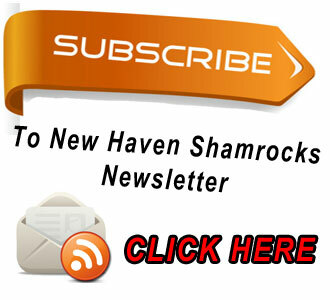 New Haven will then turn around the following Monday (Sept. 15) and travel to Borgia. The JV team has also won all four of their games in two sets with wins over Cuba (25-11, 25-5), Belle (25-11, 25-8), Chamois (25-7, 25-8), adding to their two set win over Montgomery County. The JV and Freshman teams will play in this weekend’s Pacific Tournament, where New Haven’s JV team will look to win the tournament for the third straight year. JV Coach Dennis Carey said, "I have been pleased with all the players we are using. I think we have got good all around play from Junior Maddie Fleer, Soph. Taylor Otterer and Kim Hoffman have played very well and the four Freshman have played very well." "Lauren Gerlemann is playing all the way around and has passed well and her hitting has improved. Kate Ruediger also plays all the way around has done a nice job. Emma Engelbrecht has really been hitting the ball well and Mackenzie Bauer sets for us and continues to show very nice progress." Visit the Sports Zone for all sports schedules and game results on the QuickNewsNow Scoreboard powered by ScoreStream. 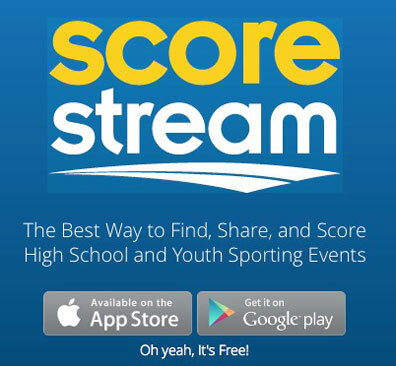 Check out ScoreStream’s free app available for both iOS and Android devices. It is really an awesome app that allows you to follow any sports team. Click here to visit scorestream.com for more information.